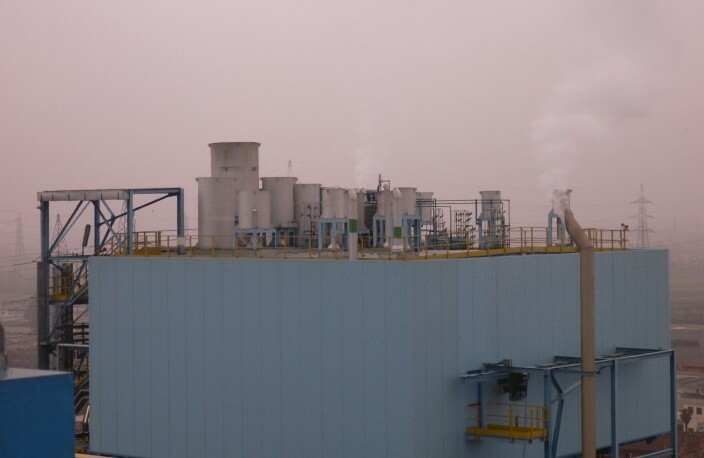 Vent Silencers are designed to reduce noise level of exhaust piping to the atmosphere for pressurized gaseous fluids, such as air, vapour, natural gas, nitrogen, oxygen, carbon dioxide, etc. They can be installed downstream any device acting as a link between a container of pressurized gaseous fluid and the atmosphere. 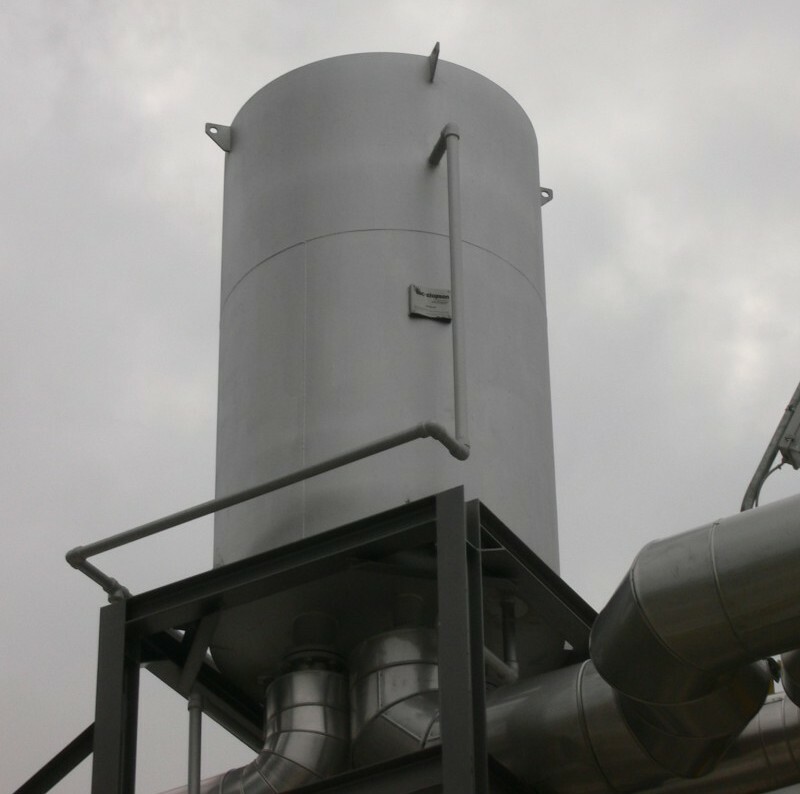 The vent silencer can also provide high or low back pressure relief for the system ensuring proper operation. Noise reduction can be attained using two principles: a reactive section to attenuate the low frequencies and provide broad band noise reduction and an absorption mean of the high frequency audible noise into a sound absorbing material. 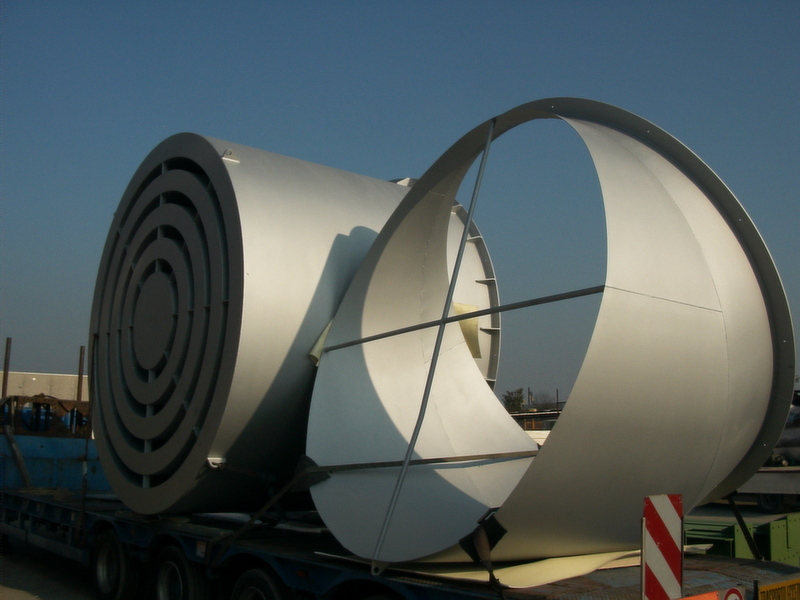 This kind of silencer is used in case of higher and fixed flow rates, larger attenuation and relatively high allowable back-pressures. 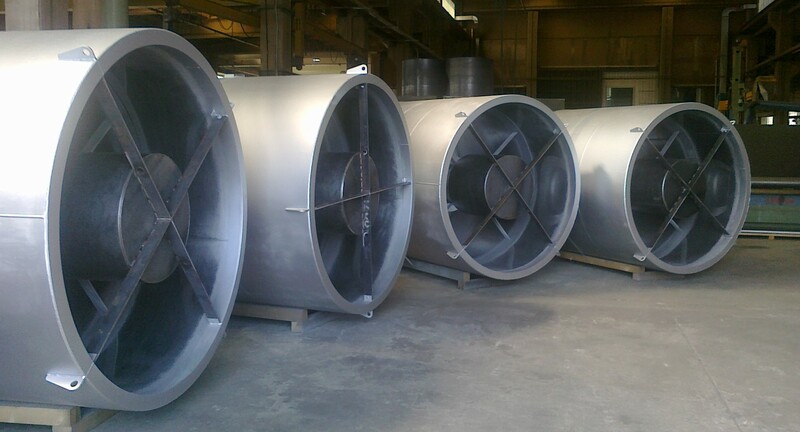 A possible optimization of these silencer is the multi-inlet solution where multiple inlet nozzles are placed each one with its specific diffuser; all of them are then conveyed with a proper contemporaneity into the upper absorptive section, if required depending on target attentuation. Compact size, either cylindrical or rectangular shape, and high acoustic efficiency of diffusers, in particular when high back-pressures are allowed, ensure a lighter and cost-effective silencer design. PSP silencers are used for lower flow rates applications and where reduced allowable back-pressures are required. PSP 35 Model are basically absorption-type silencers without a diffuser, but with an expansion chamber. 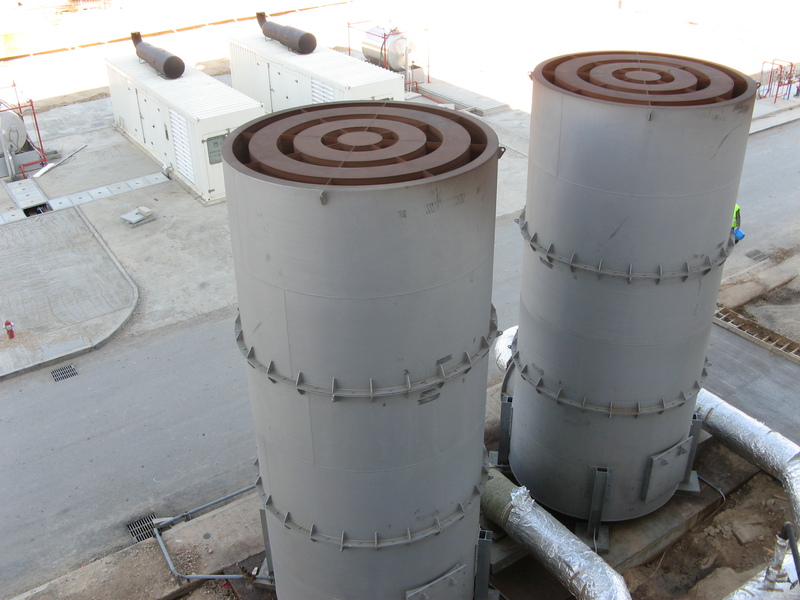 PSP 45 Model are mixed type silencers of gradual and controlled fluids expansion and absorption-type silencers. The fluid passes through an expander made of series concentric circles cylinders with growing perforated passage sections and then through the absorbing element. Diffuser passage sections are designed just to guarantee a very low back-pressure. 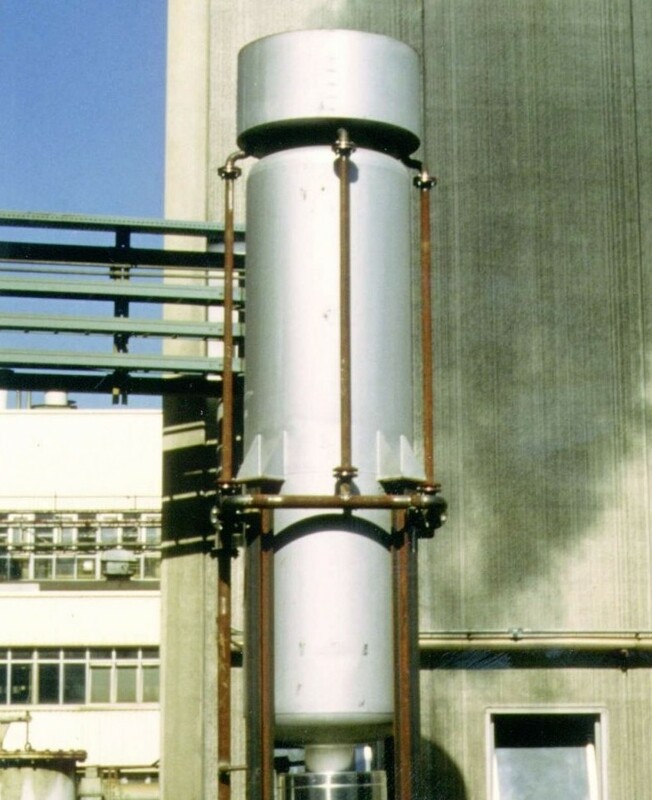 The body of the silencer, where the expander is installed and the absorbing element are provided, with absorbent material protected by a perforated steel sheet. Stopson's vent silencers are designed to provide thermal expansion among their different parts. 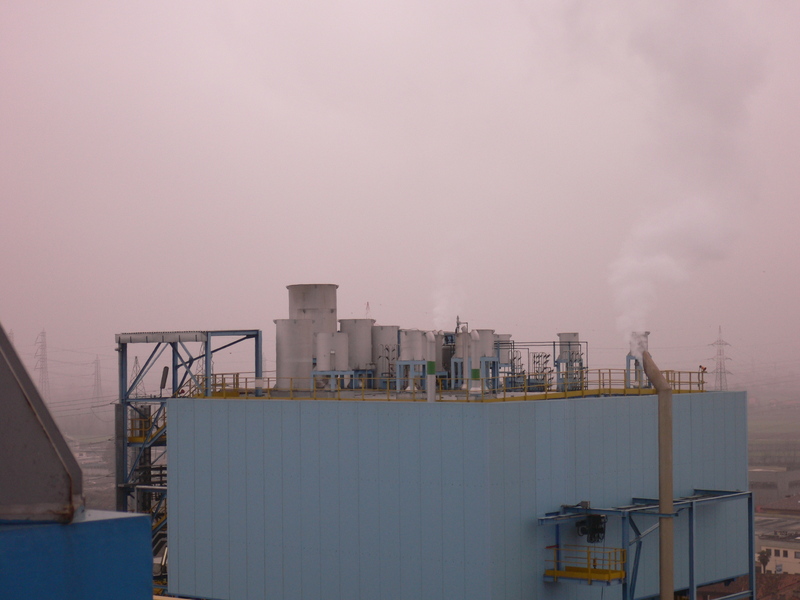 Since they are devices open to atmosphere, pressure design and test are not required. If not directly held up by the fluid inlet piping, the silencers represent a fixed point. In this case, it is necessary to provide an axial or axial/radial compensation system of thermal expansion. 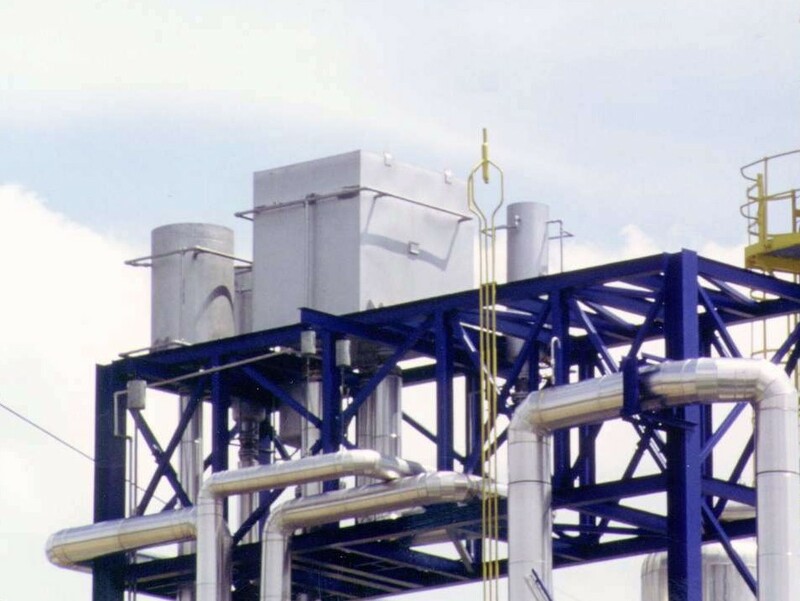 When an expansion joint at inlet is provided, no loads must come to silencer inlet pipe from discharging pipeline.